Coastal engagements and weddings are kind of my favorite, you guys. 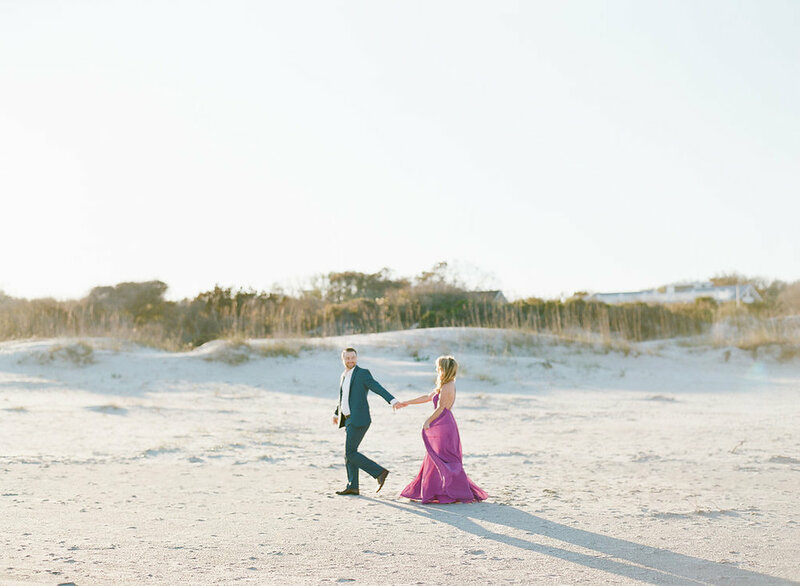 If you are contemplating a weekend getaway, book your photographer to tag along for the ultimate engagement session - just like Erin and Josh did when they had Anna and Daniel Shackelford join them in St Simons Island. We love how at ease Anna makes you feel when you're in front of the camera, allowing you to truly let your light (and love) shine through in the most genuine way. We are so excited for next October when we get to see these two say 'I Do' at the newest venue in St Simons, The Greenhouse, and the planning thus far has been right up our alley with all of the most precious details. But for now, here are a few of our favorite moments from their engagement session.